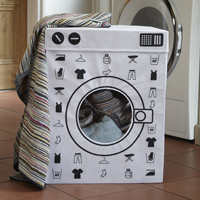 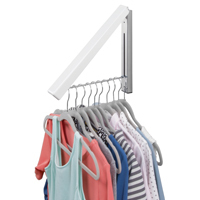 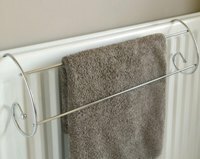 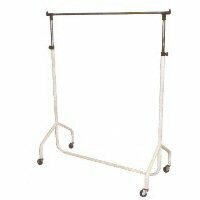 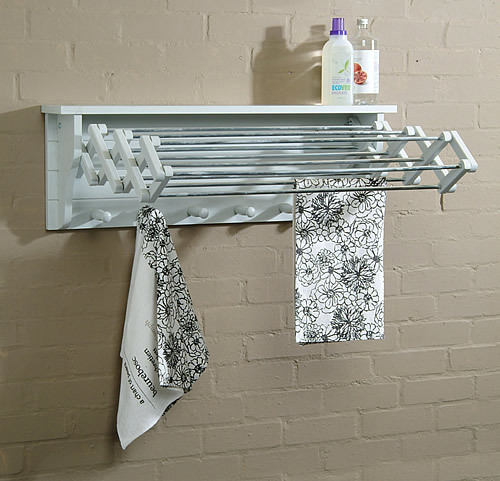 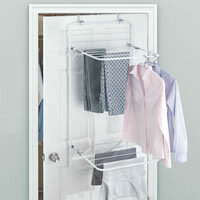 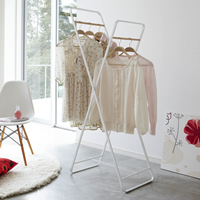 Our space saving Extending Clothes Dryer can be neatly folded away when not required. 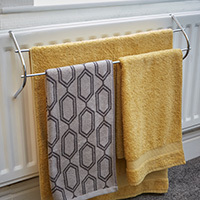 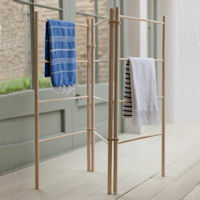 The seven rail rack is made from birch ply wood with a chalk finish and has zinc rods to protect the wooden unit from soggy clothes (unlike some models on the market!). 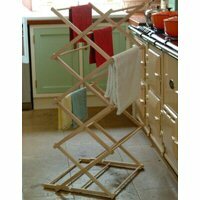 The top of the unit forms a handy shelf to store other laundry bits and bobs and there's six wooden hooks below so you can peg-out more washing or perhaps simply store tea towels etc.